Fred & Eric love nothing more than things that come in twos, so were over the moon to be sent this knitted ampersand by the incredibly talented twins Olivia & Maisie. Creators of their own blog ‘Twins & Needles’, these girls love everything handmade, and created this ampersand with nimble fingers and a keen eye for knitted detail. F&E were especially impressed with the detail of the knitted flower and all of the tiny hand-sewn beads, which must have taken an enviable amount of patience to complete! In celebration of Fred & Eric’s double award winning month; our Promax award for the Channel 4 Competition Spot and The Squeakiest Roar winning Best Animated Short Film at the Chicago International Children’s Film Festival, our favourite cake-baker Phyllis Knowles has created this yummy edible ampersand creation. Needless to say it didn’t last too long, but this photograph will guarantee to make us hungry for more every time we see it! In her second addition to our ampersand gallery, designer and illustrator Laura Hopewell has created this hand-cut navajo inspired ampersand. Proving her paper-cutting prowess and expert eye for colour. Native American arts & crafts have officially arrived in the F&E studio and we’re championing this papercut trend! Chris Anderson popped in to Fred & Eric HQ this week to share some of his fantasticillustrations and cardboard creations. Not only were we super impressed with his lovely work, but also thrilled to receive an excellent gift in the form of this monster ampersand! Our cyclops friend sits proudly on the F&E mantlepiece, growling at any unwanted intruders. Visit the office at your own peril! 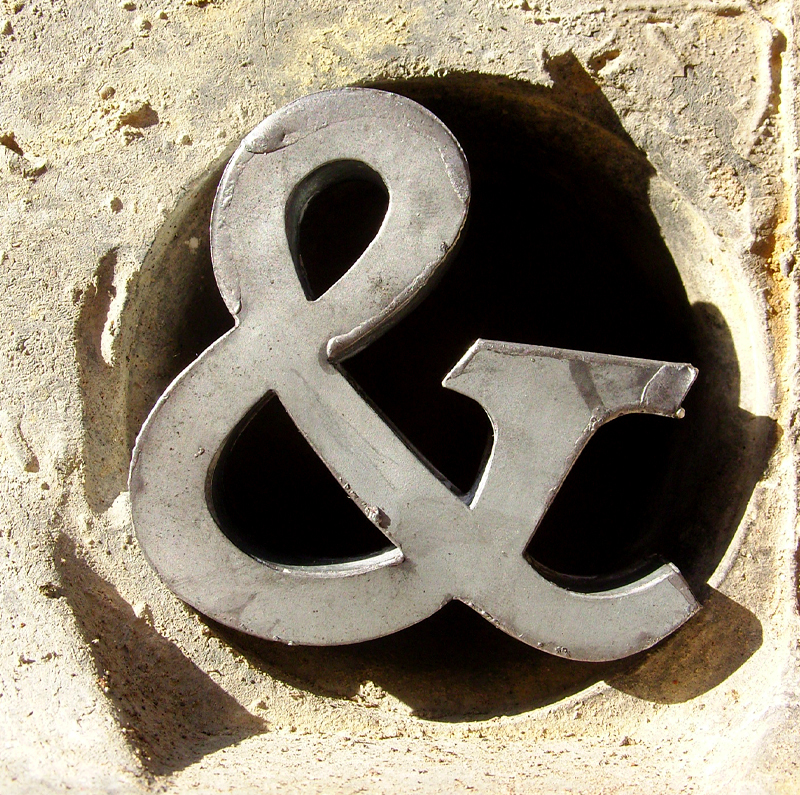 An ampersand for all seasons. The latest addition to our ampersand collection in the form of an animation created by our intern, Mateusz Napieralski. 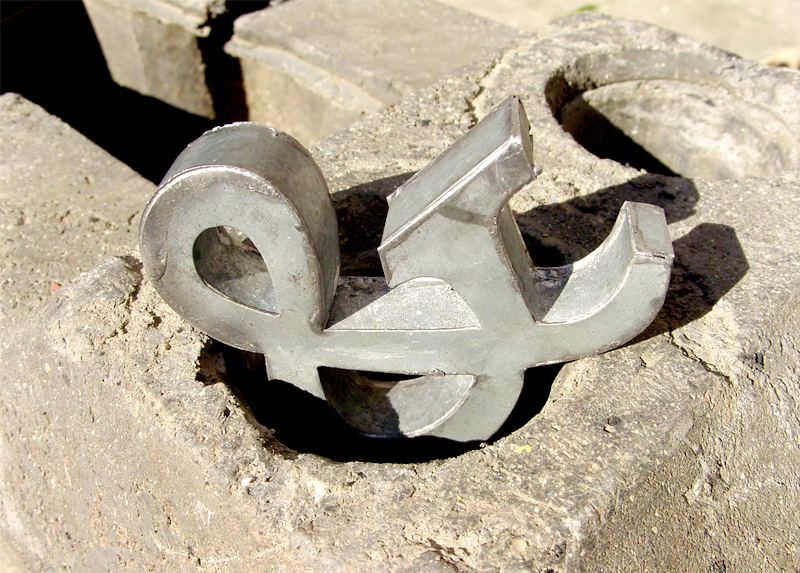 Fred & Eric’s brilliant intern Mateusz has hatched this inspired chicken ampersand design, ready for our Easter break. Needless to say Mateusz’s eggcellent design is now pride of place in F&E’s collection, but strangely enough… the chocolate egg is nowhere to be seen. Catch up on the world of Mateusz on his website. Happy First Birthday to US!!! Fred & Eric Celebrate their first Birthday today! In true F&E style, we thought it only fitting to mark this momentous date with an ampersand candle. Thanks to everyone who’s emailed us ampersands over the past year. We’re really proud of our blog and excited to keep adding to it over the next year! Craft lover Nicky Hartnell has come up trumps with this little fella. Seems like her love of ampersands might rival Fred & Eric’s as this is Nicky’s third submission to our blog. Find out more about Nicky and her crafty creations on her website I Love Making Stuff. And a special mention to our intern Mateusz for his inventive photography! Katie & Will (not that Kate and Will) have taken a break from their world of film and documentary making. Swapping live action for stills, they’ve illuminated Fred & Eric’s ampersand collection by light writing on long exposure photos behind an ampersand stencil. Fred & Eric think the photographs are magical. Find out more about Katie’s latest documentary film project at theclubdocumentary.com. Catch up with Will at reelnice.co.uk and wfrancome.tumblr.com. Whilst rummaging around the thrift stores in New York City, Jamie Pigram, Fred & Eric’s Head of Production discovered an unexpected gem. Hidden in a back street in the East Village, this rustic looking ampersand was waiting to be discovered by an eagle eye.